THE HAGUE, Netherlands (AP) — French lawyers on Monday urged the International Court of Justice to throw out a case brought by Equatorial Guinea in 2016 seeking to prevent the prosecution in France — which has since happened — of the African nation’s vice president on money laundering and other charges linked to his opulent lifestyle. The case in The Hague is going ahead despite the fact that a French court convicted Teodoro Nguema Obiang Mangue in October and handed him a suspended three-year prison term for embezzling millions in public money, which he spent on fast cars, designer clothes, art and high-end real estate. The French court also handed him a suspended fine of 30 million euros ($37 million) and ordered that all goods seized during the investigation should remain confiscated. Obiang Mangue, who did not attend the Paris trial, denied the charges and his lawyer, Emmanuel Marsigny, accused France of meddling in Equatorial Guinea’s domestic affairs. Obiang Mangue and French prosecutors have appealed, Alabrune told judges in The Hague. 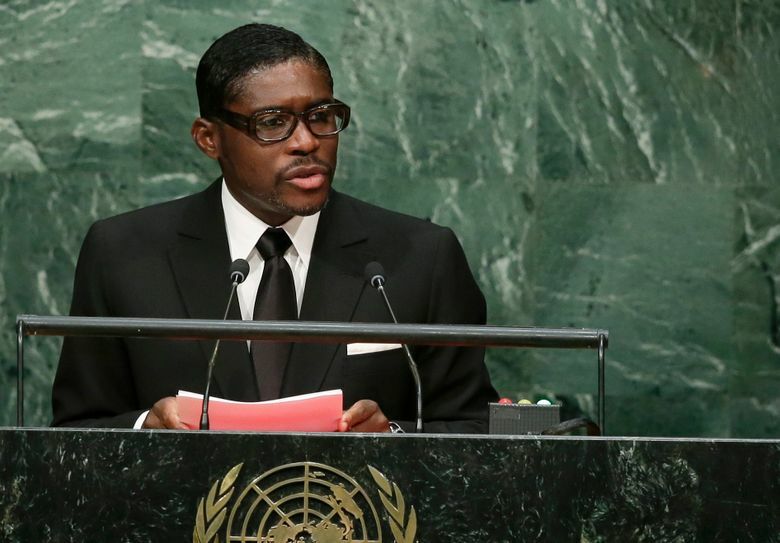 Equatorial Guinea’s case at the International Court of Justice, filed in 2016, argues that Obiang Mangue has immunity from prosecution because of his position as vice president. At a preliminary stage of the case in The Hague, the world court ruled that it appeared to have jurisdiction based on the Vienna Convention on diplomatic relations. France’s arguments on Monday sought to convince judges that they do not. A decision will likely take months. Equatorial Guinea is rich in oil and gas, but most of the country’s population still lives in poverty.